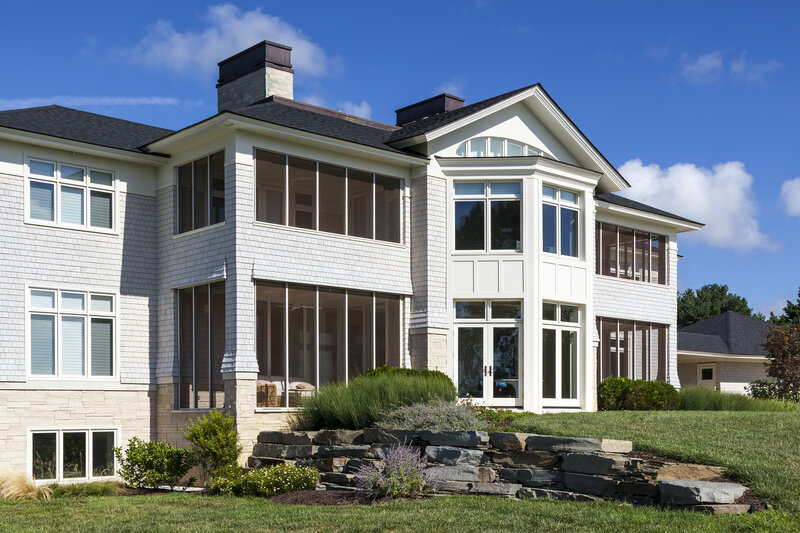 WATERFRONT CUSTOM HOME – QUEENSTOWN – Lundberg Builders, Inc.
Annapolis-based, Bohl Architects called on Lundberg Builders to provide the building expertise needed to deliver on the promise of the stunning architectural design for their client’s new custom home in Queenstown, Maryland. At the heart of the design was the homeowner’s desire to maximize and capture the spectacular views of their incredible Wye River front property. 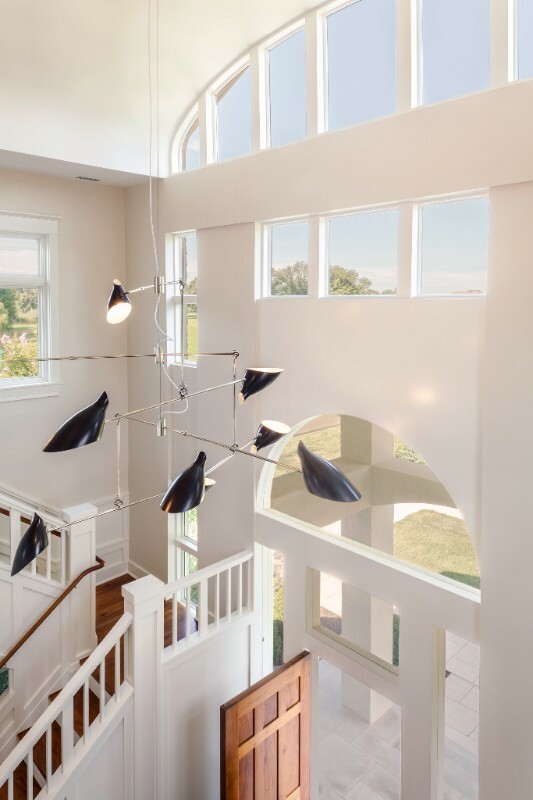 The 7500 square-foot 4-bedroom contemporary home boasts notable custom features that required a remarkable level of craftsmanship and construction precision to execute the project flawlessly like the elliptical transom windows shown here in the front foyer. 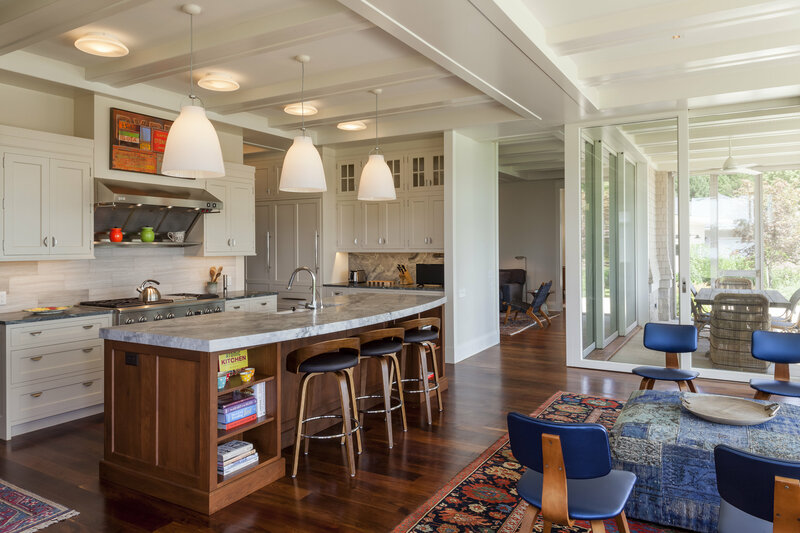 With that goal leading the vision for the project, the home was designed with an open floor plan that seamlessly connects indoor spaces with the outdoors. We imagine it may be a challenge to concentrate with an office view like this! The waterfront side (rear) of the home overlooks the Wye River. 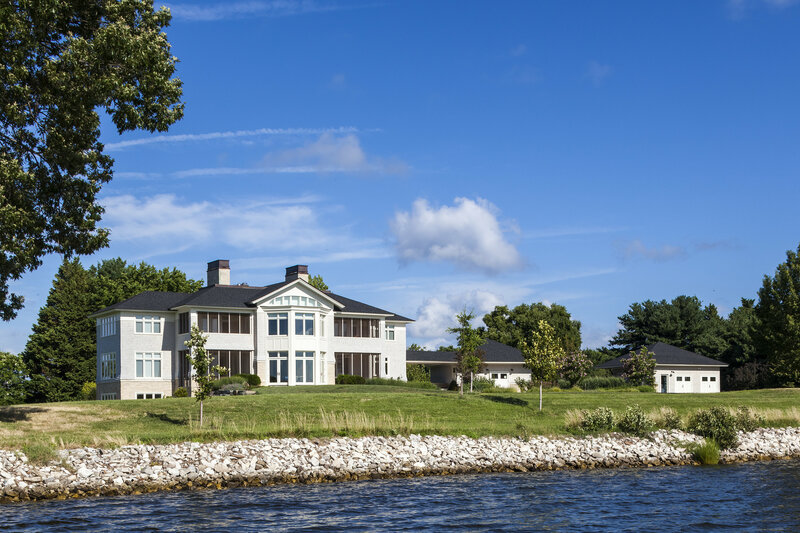 Screened porches on both the upper floors off the bedrooms and on the 2nd main floor off the kitchen and living rooms are built for maximum enjoyment of the Chesapeake lifestyle. 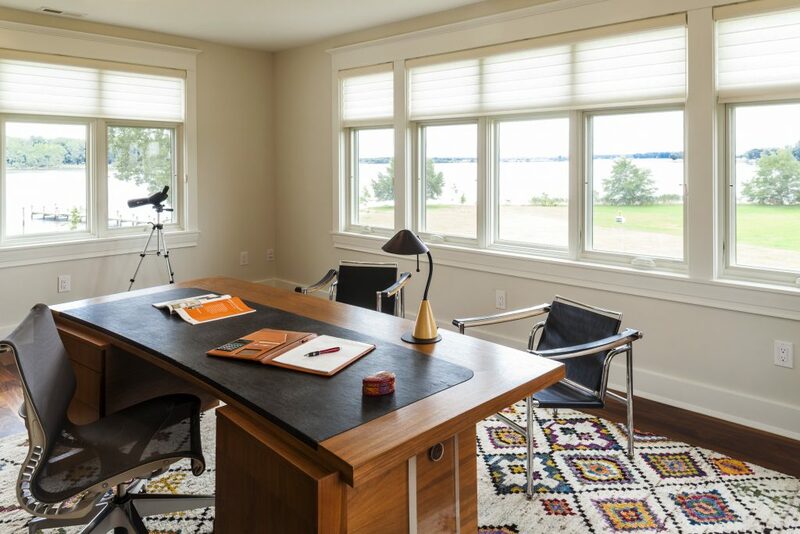 The elegant and ingenious design of the lift and slide glass panel wall system used on the porch (far right) was a labor of love and great care. The wall tracks are strategically hidden within the ceiling beams to essentially disappear when recessed! 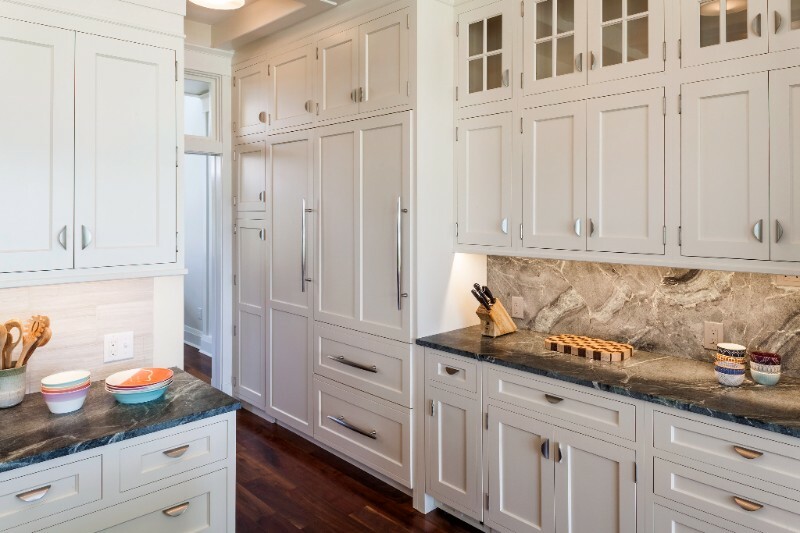 Our sister company, 314 Design Studio Kitchen and Bath Designers, worked with the homeowners to design this exquisite kitchen with extensive custom-built cabinetry meticulously crafted by Lundberg Builders.